Ever Wonder Why College Games Are On Saturday & NFL Games Are On Sunday? The following is a guest post written by S.M. Oliva – a regular contributor to Saturday Down South. He is a writer and paralegal living in Charlottesville, Virginia. As the NFL’s lockout enters its fourth month with no clear sign of ending, some have asked whether college football might fill the void on Sundays this fall if there are no professional games. Before addressing that question, however, it’s worth reviewing the historical relationship between the NFL, college football, television, and federal law. Following the 1951 report, the NCAA imposed a moratorium on all college football telecasts, and shortly thereafter the association announced a strict television policy that would govern college football for the next 30 years. The NCAA limited national football broadcasts to one game per week for no more than seven Saturdays per year, and no team could appear on national television more than twice. Any school that defied the NCAA faced sanctions. Delaney went on to become the commissioner of the Big 10 Conference, where he directly supervised the creation of the Big Ten Network, the first internationally distributed network devoted to a single college athletics conference. Obviously something changed in the 27 years since Delaney condemned the expansion of college sports on television. What changed was the legal environment. While the NCAA was somewhat more liberal about television appearances by the early 1980s, it still demanded absolute control. In 1981 the NCAA’s contracts with CBS and ABC granted only limited rights to negotiate with individual schools. At least 82 different schools had to appear over a two-year period, no more than 35 games could be telecast nationally per year, and no school could appear more than four times nationally and six times regionally. The NCAA also fixed the prices schools could charge networks for game rights. In defiance of the NCAA, five major conferences, including the SEC, formed the College Football Association in the late 1970s. The CFA negotiated a separate contract with NBC that provided for more televised games than the NCAA’s contracts while generating more revenue for CFA member schools. The NCAA responded by threatening sanctions against the CFA participants, which in turn led Oklahoma and SEC power Georgia to file a federal antitrust lawsuit against the NCAA. The Supreme Court’s decision heralded the modern era of televised college football. Individual schools and conferences could now negotiate their own television deals free of the NCAA’s restrictions. 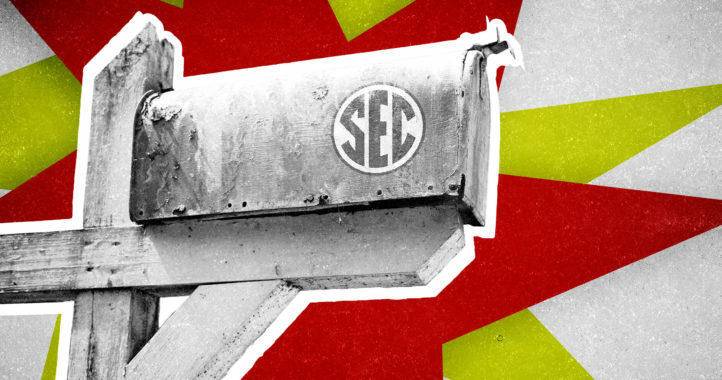 This has proven especially important to the growth and popularity of the SEC. The conference’s most recent contracts with CBS and ESPN alone are worth $3.1 billion over ten years. And according to attorney and sports-business writer Kristi Dosh, six SEC schools are among the top-ten earners in total broadcast revenues. And then there’s the NFL. Like the NCAA, the NFL’s initial reaction to television was fear and mistrust. The Los Angeles Rams were the first NFL club to televise home games, in 1950. By 1951, the league adopted its own NCAA-like television plan, which banned all telecasts of home games (in order to protect live attendance). The NFL also banned telecasts of out-of-market games on the same day a home team played. In other words, if the Rams were playing, home or away, no other NFL game could air in Los Angeles on the same day. By 1961 the NFL had overcome its resistance to television, in part responding to the rival American Football League’s decision to televise all of its games under a contract with NBC. The NFL signed its own single-network contract with CBS. Unfortunately, Judge Grim, who retained jurisdiction over the earlier Justice Department case, said this also violated his previous decision. As Grim saw things, individual NFL clubs could not transfer their broadcasting rights to the league as an entity. The fact that the AFL, which was not subject to his order, had entered into the exact same sort of contract was irrelevant. But the story didn’t end there. Congress did impose one condition on the professional football leagues. The SBA would not apply if any television contract allowed the NFL (or at the time, the AFL) to broadcast games “on any Friday after [6 p.m.] or on any Saturday during the period beginning on the second Friday in September and ending on the second Saturday in December.” In other words, the NFL could not televise games if they competed directly against college football. The NFL and AFL readily agreed to this restriction, as they already restricted their schedules to Sunday afternoons. 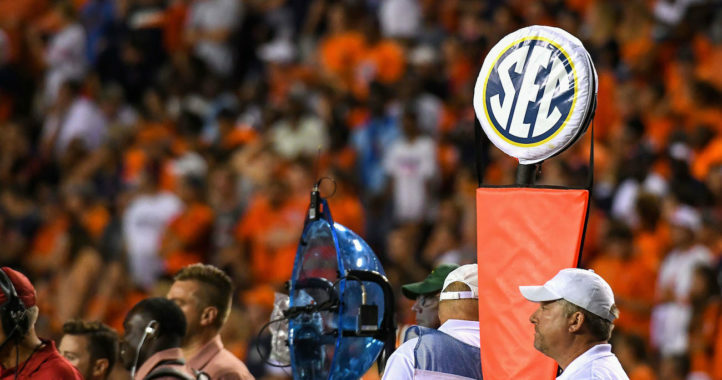 Southern members of Congress, who came from states representing SEC, ACC, and Southwest Conference schools, were especially receptive towards the NCAA’s position. There was near-unanimity within Congress that college football must be protected from even the possibility of professional encroachment on Friday nights and Saturday afternoons. The SBA and the Friday-Saturday ban remain in effect today. In fact, Congress expanded the ban in 1966 to prevent the NFL from broadcasting games that might conflict with high school football. As a result, the NFL sought refuge on other, unprotected days of the week, starting with Monday night games in 1970 and Thursday nights starting in 2006. For its part, college football now occupies almost every day of the calendar, including the occasional Sunday game, although the SEC and major conferences still play the bulk of their schedules on Saturday. The SBA only restricts the NFL, not college football, in determining what days to play and televise games on. That said, there may also be little upside to Sunday games, especially for a traditional powerhouse like the SEC. The conference doesn’t lack for television exposure — the days of the NCAA’s socialist television restrictions are long gone. And while Sunday games may prove just as popular as Saturday games, the effect would likely be temporary. Of course, the calculation might be different if the NFL cancels its entire 2011 season rather then simply delay it or play a limited schedule. And to think: I’d always assumed it had something to do with the players making class on Monday. Academics? Nah, those are irrelevant.